Inner Mongolia has always been known for its vast grasslands. During this tour, you can enjoy the vast grasslands of Inner Mongolia, learn the Mongolian culture of local people, and also visit temples, Shangdu and Dalinur Lake during the journey. 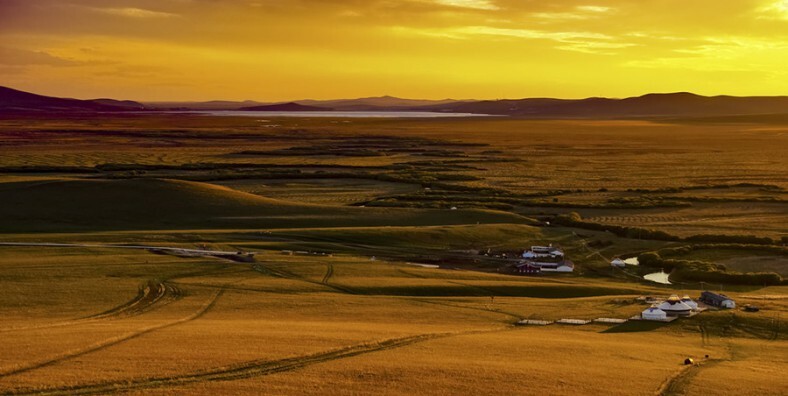 Enjoy the vast grasslands of Inner Mongolia. Learn the Mongolian culture of local people. Visit temples, Shangdu and Dalinur Lake during the journey. Pick up from hotel in Beijing, transfer to Duolun. Lunch will be arranged at a famous Royal Racecourse – Taipusi Yuma Yuan, which is located at Gongbaolage Grassland. It is also the Royal Horse cultural tourism scenic spots. For the big group, the Mongolia highest etiquette Maldini welcome will be arranged after arrival. Enjoy Mongolian singing and dancing during lunch, watch equestrian, horse racing, mongolia wrestling performance after lunch. Then, move on to Duolun town, another famous historical city in the Inner Mongolia. After breakfast at hotel, you will be arranged the visit the World Culture Heritage Shangdu. In June 2012, Shangdu was listed a World Heritage Site, which was the summer capital of Kublai Khan’s Yuan Dynasty (1271 – 1368) in China. In the ruins of Shangdu, people have discovered a stunning civilization, a masterpiece featuring the multi-culture combination. Before visiting Shangdu, enjoy Jinlianchuan Prairie. There are yellow flowers and many other kinds of unknown flowers all over the mountains and plains Here. After lunch, Huizong Temple will be arranged. which is built by one of the emperor – Kangxi. Pick up from hotel in Duolun, transfer to Xilinhot. After lunch, you will be transferred to visit the Beizi Temple. The Beizi Temple is one of the four most famous monasteries in Inner Mongolia. It has five halls – One for Administration, two for Living Buddhas, one for Medicine and one for Astronomy and Math. There are over a dozen of small halls, stupas, and over 2000 living rooms for lamas. Beizi Temple is built with exquisite carvings, paintings and ornate scrollwork. After breakfast at hotel, transfer to West Wuzhumuqin Grassland(the typical area of Xilingol Grassland), which is 10.786 Square kilometer. 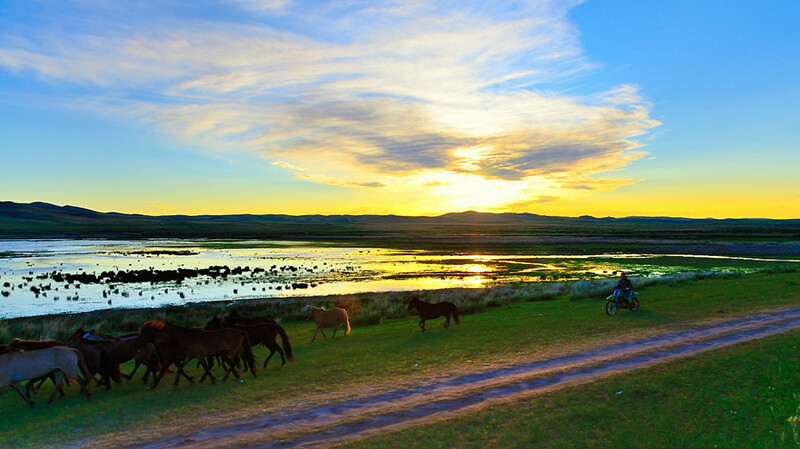 Being one of the birthplace of Mongolia people, it consists of marshlands, grasslands, sand dunes, and wetlands. You will be arranged to visit the local family, to enjoy the Mongolia Music and local milk food. Enjoy the Sunrise on the grassland. After breakfast, transfer to Asihatu Stone Forest, which is a geological park integrating stone forest, grassland and forest. Asihatu granite is a rare stone forest landform. Move on to hotel near Dalinur Lake. Enjoy the Sunrise near the Lake, and walk around with the beautiful sightseeings. Dalinur Lake is the second largest lake in Inner Mongolia, one of the three swan lakes in China with other two being Bayinbuluk Lake in Xinjiang and Panyang Lake in Jiangxi. 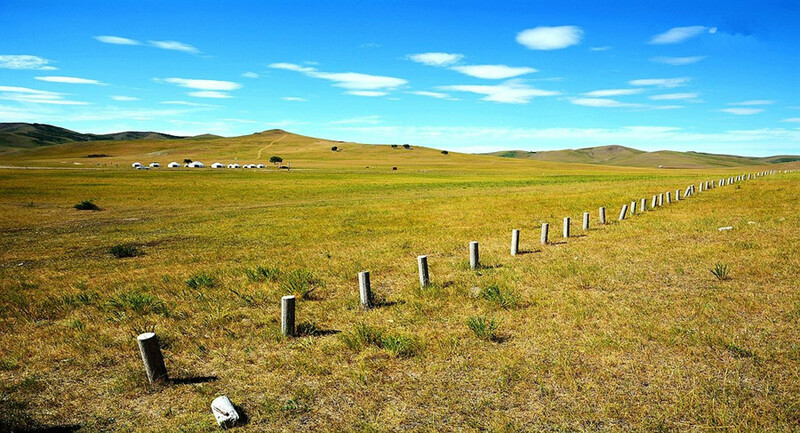 After lunch, move on to another grassland in Inner Mongolia – Wulanbutong grassland. After breakfast, transfer back to Beijing.